The meeting which will begin at 7 P.M. at the Lindley Town Hall is free and open to the public. Following the presentation, the audience will be encouraged to share their stories, information and photos that they have. 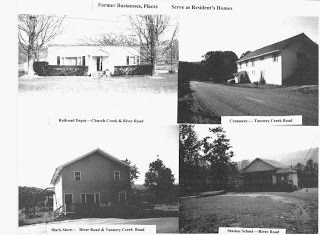 From Newspaper Archives Green Library ,Wellsboro, Pa.
concrete road to run 3.95 miles from the 'half-way house"on the Addison Road towards Lindley to William L.Sherill, of Hudson Falls at $184,889. 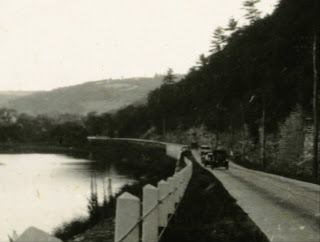 This is part of the Erwin-Lawrenceville Road which ,when completed, will connect New York's Southern Tier Highway with Pennsylvania's Susquehanna Trail. The second and final part of the road,also four miles in length ,will be built next season. ( 3 other Steuben County Highway contracts were listed) Commissioner Sisson has ordered work started on the four contracts as soon as possible." The November 2012 issue of Mountain Home Magazine features an article on the members of the Tioga County Honor Guard. Rebecca Hazen(the author) and Beagle Media LLC should be congratulated for publishing the article about this dedicated group who take the time to participate in events that honor Military Veterans . The Town of Lindley is especially grateful for their participation in our Armed Forces Day ceremonies-held each May. 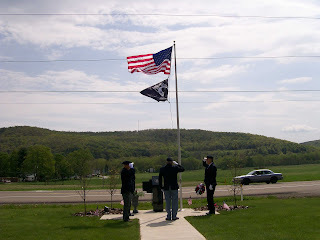 In October, 2007, The Lindley/Presho Veteran's Monument was dedicated and every May since 2008, this organization has come to Lindley and graciously conducted an Armed Forces Day Ceremony to honor the Veterans of the Lindley, New York area. So along with the people at Mountain Home, we would like to thank President Bob Leyfert and members of the Tioga County Honor Guard for their efforts to honor our Veterans. We hope to see them again on Armed Forces Day 2013.